The Wiegands: my sweet aiden. It's normally hard to grab pics of him because he is so "on the go" but the past few days we have been saying "show your teeth! "...he stops and shows us this big, gorgeous smile...melt my heart! He's my snuggle bug, my first born, my boy. He loves dinos and trains. Also, for soooo long he did his baby sign language and held off on using those words...but now he is such a talkative little guy! It is the most precious thing ever! Love you my A :). He is adorable- we have to sing "if your happy and you know it" to get my daughter to stop and smile for pictures. Such a cute picture & such a beautiful post for your little guy! he is wonderful!! I've heard about baby sign language keeping some babies from using their words so I thought it was interesting you mentioned the same. Would you recommend it? Mine is only 4 months old but I'm trying to plan! love that pic of him!! his little teeth. melt.my.heart.!! He is so precious :) You must be such a wonderful mother! I love that picture of him !! he is a cutie. Google for the baby sign language, they will show up pictures and video. What a cute picture! He looks so happy... too adorable! and sadness about you leaving Cali. =( But, God has a plan...he always does! Nothing like a Mama's love for her boy. He is just too cute.. Such an adorable smile. How are you doing hun? i have been praying for you and your family recently! :) i hope you are well. He is so precious! Love the smile. It's so funny once little ones begin to talk. I forget that there was once a time Caitlin didn't. was it hard teaching baby sign language?? That really intrigues me! I like the idea.. 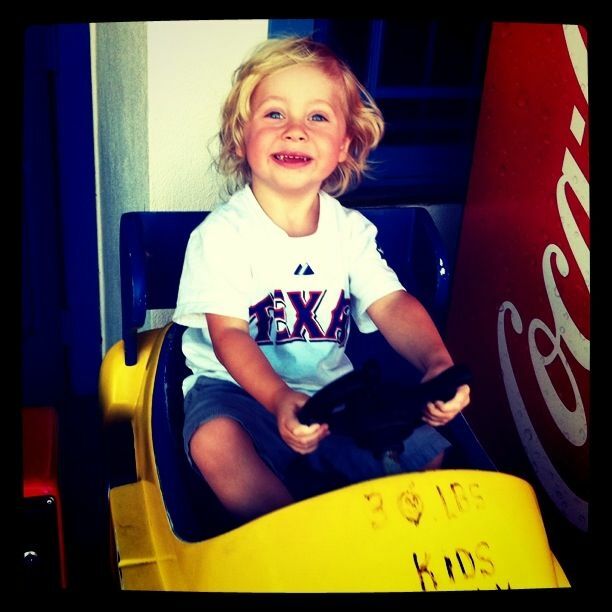 Your son is adorable I'll say it again and again on this blog of yours and never get tired. Blessings! What an adorable little boy and a beautiful smile :) Aiden must be about the same age as my son. They are so talkative and fun at this age! Some of the things my son comes up with is hilarious. I like mli on FB. Your kids are so cute! Aren't little boys the best? I can't wait until my little guy is walking around and starting to talk. Not that I want to rush things. Every day is a new adventure with Caleb and even though he can't talk, he's always making me laugh. wow, he is so so adorable! Oh my gosh this really is an adorable picture. Definitely a heart melter. So sweet! this post is just so precious! what a sweet little boy! such a cute little boy! and a proud Mama.... your children are so beautiful! my 3 year old is still not talking, but he communicates well! he pushes me places and pulls me, and puts my hands on things he wants. when did yours grow out of this? This made me tear up! Time with your first born is so special!! So adorable!